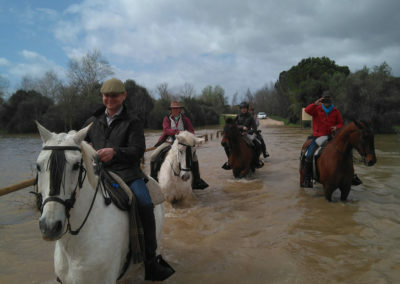 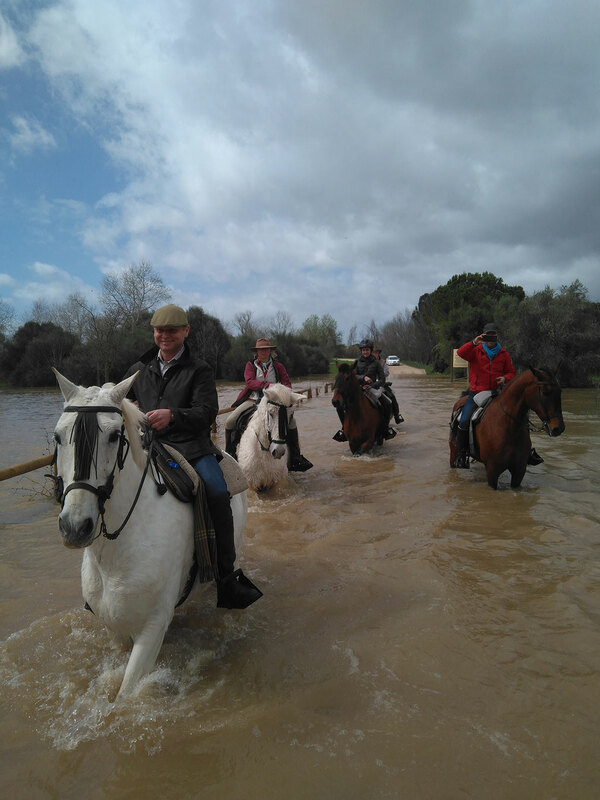 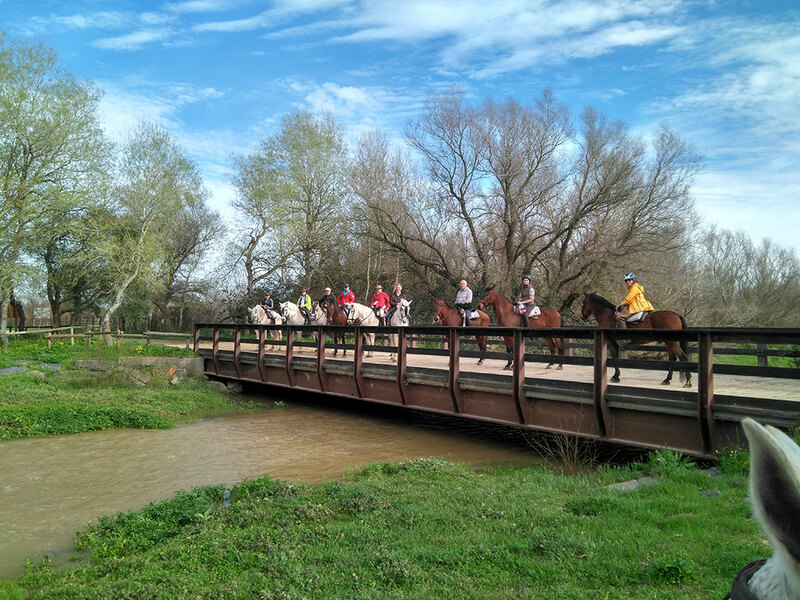 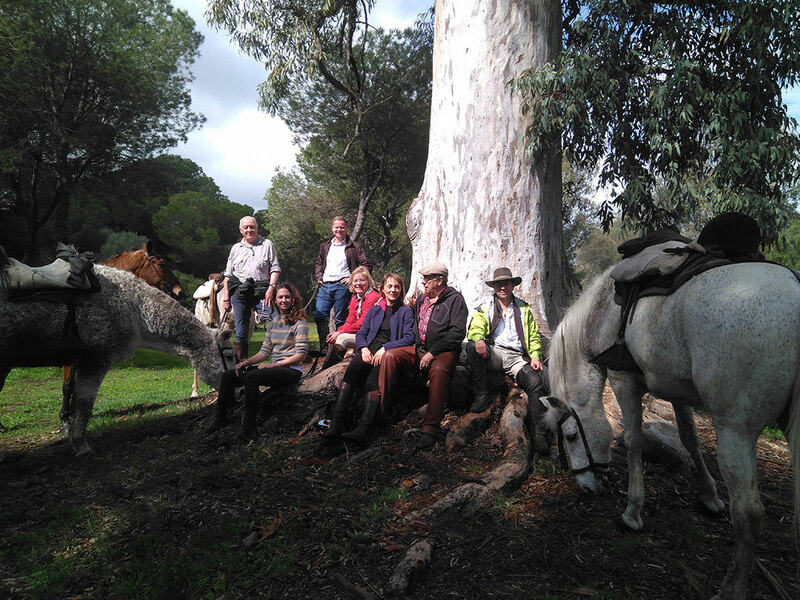 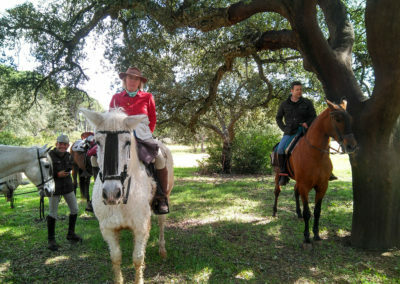 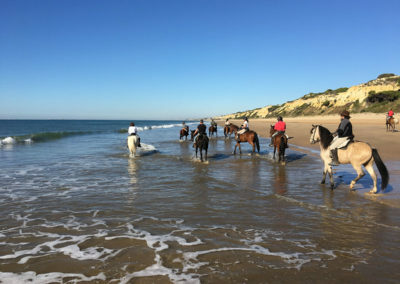 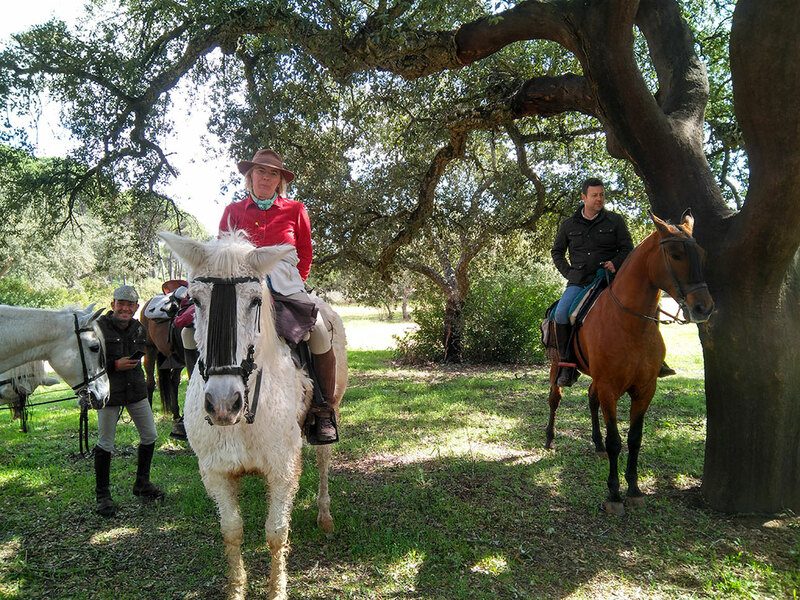 Horseback riding through the Doñana Natural Park. 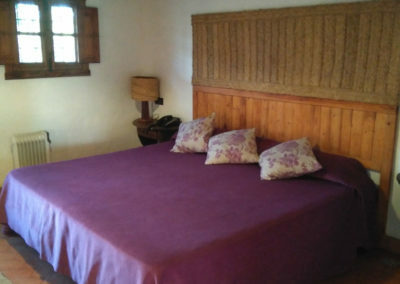 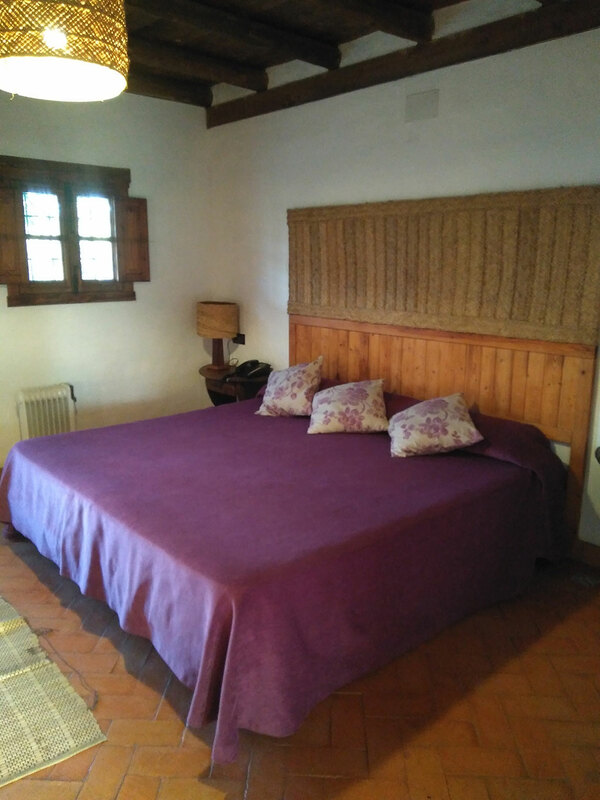 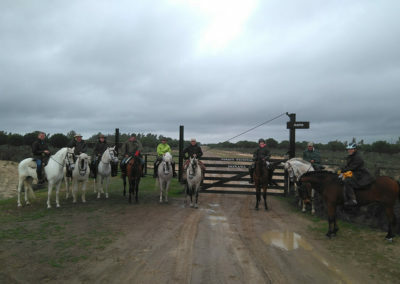 8 days through the Doñana Park with overnight stays in hotels and rural houses. 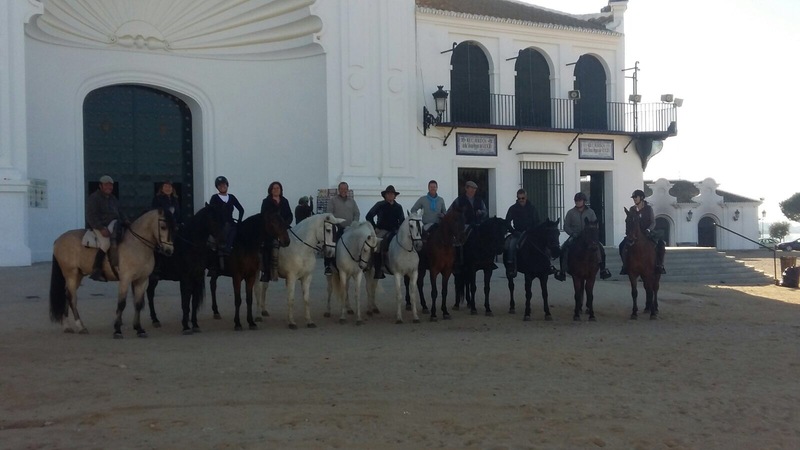 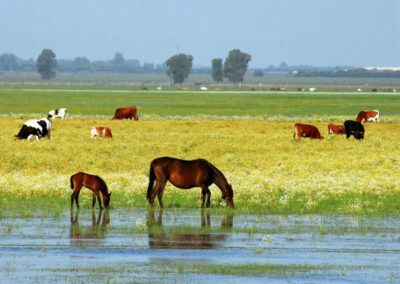 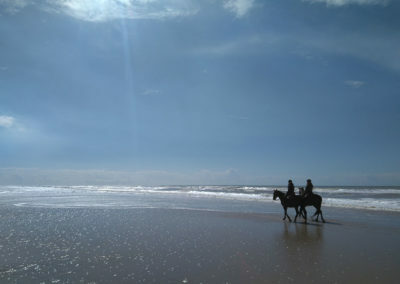 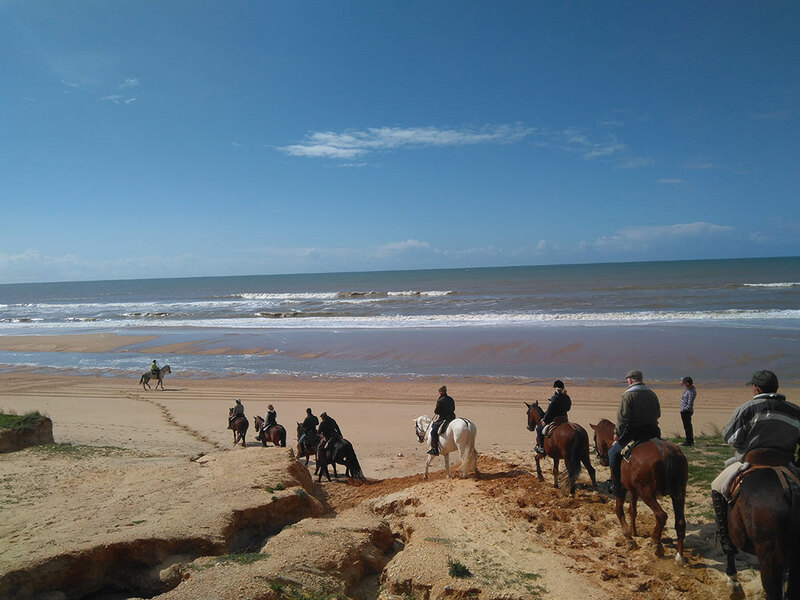 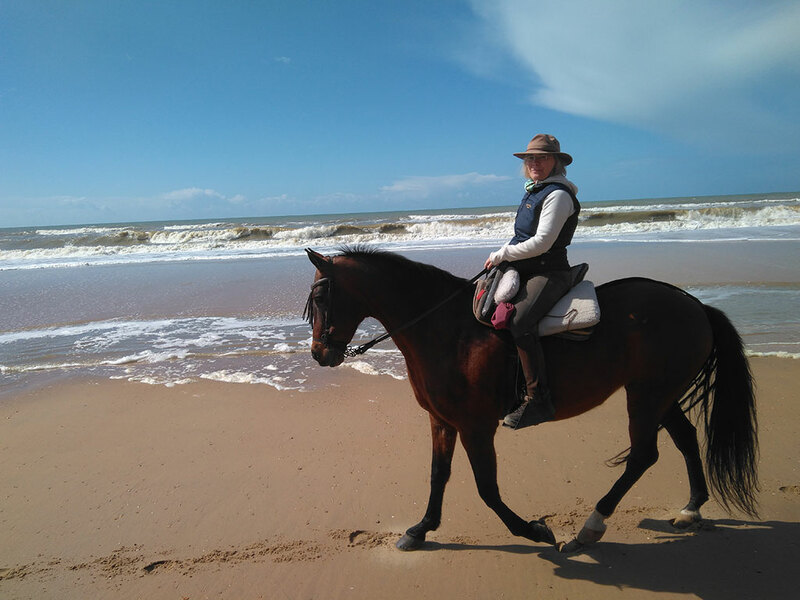 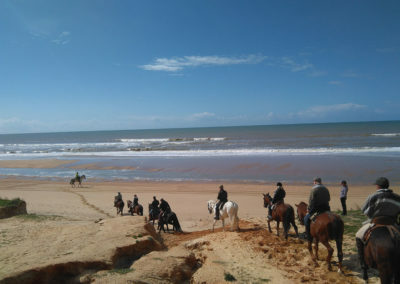 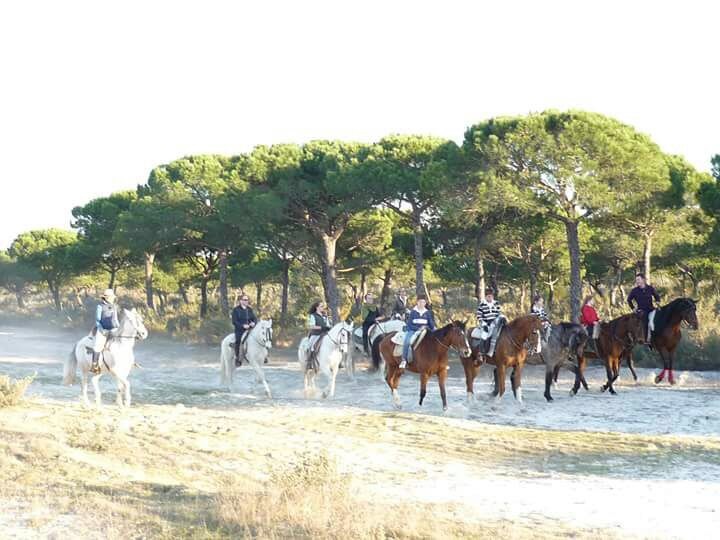 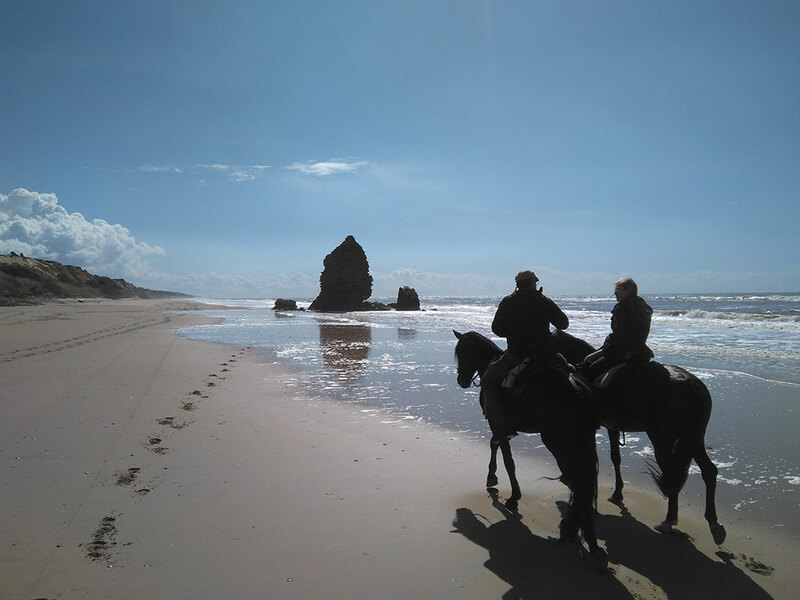 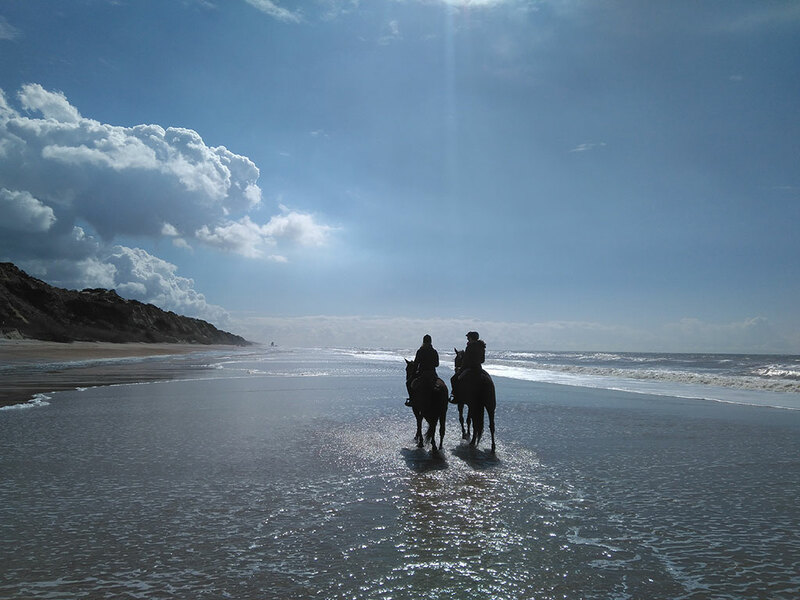 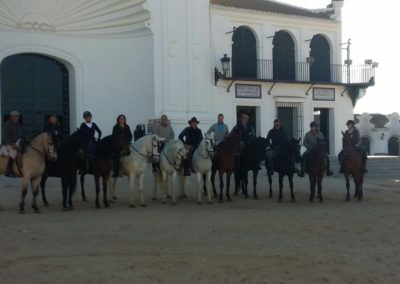 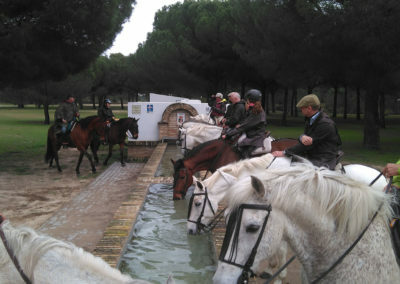 Enjoy the Natural Park and the marshes of Doñana on horseback. 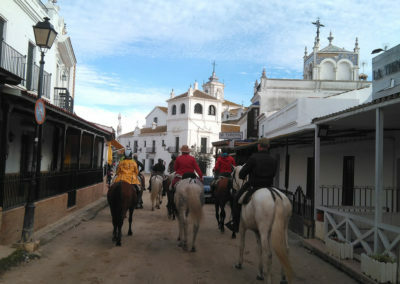 We start our trail from Sevillan village La Puebla del Rio with much art and Andalusian feel. 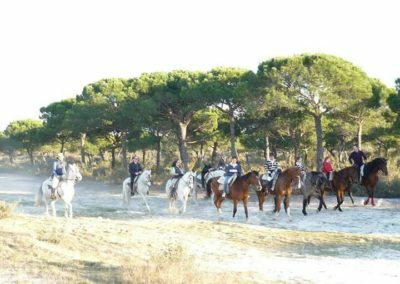 We enter National Park of Doñana from northeast through pine forest heading to second most popular village of the region: Aznalcazar. 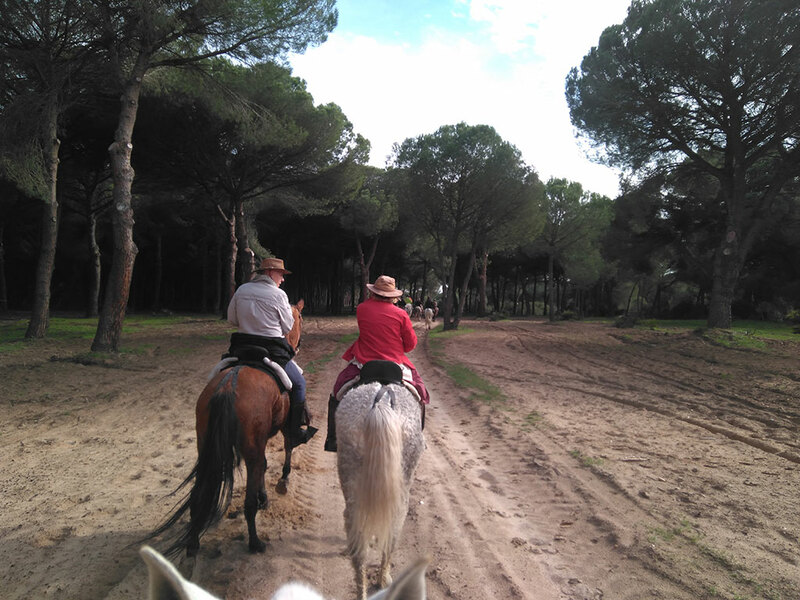 We follow the local “Religious” Brotherhoods pylgrimage path towards Aldea del Rocio where we stay for night in cozy bungalow sourounded by native pine trees. 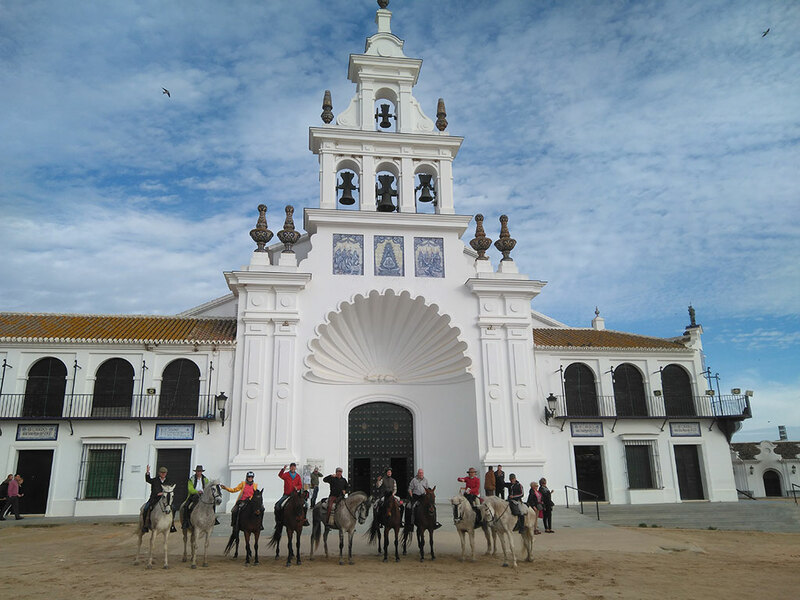 Today we will follow one of the most emblematic pilgrimage trails (along with the road of Huelva that we will make the 5th day), the Camino de Hinojos, passing the international Raya Real and arriving at the famous Ajolí Bridge. 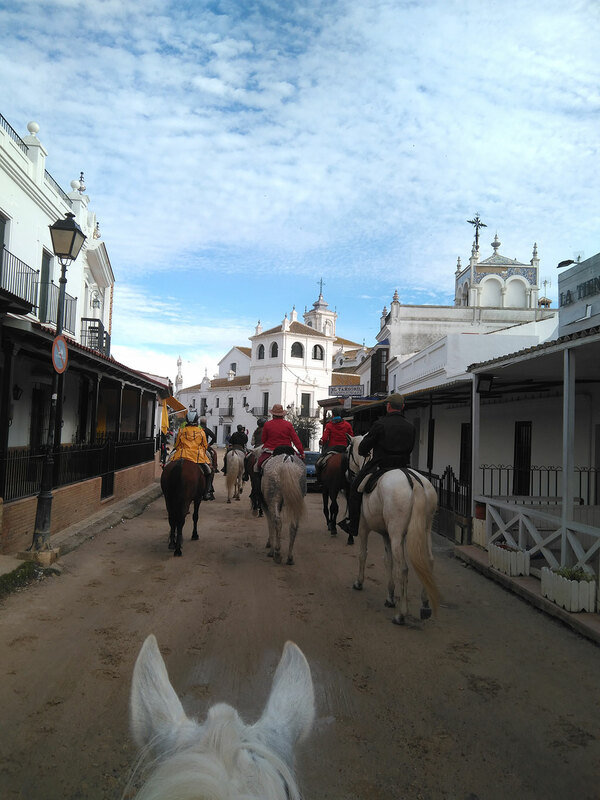 The Village of Rocío welcomes us with its white houses and its marshes and sandy streets and of course the Hermitage of La Señora de la Marisma, La Pastora, La Virgen del Rocío. 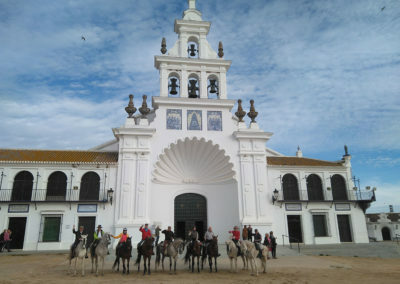 We will enter the church to admire its interior and find out about its history. 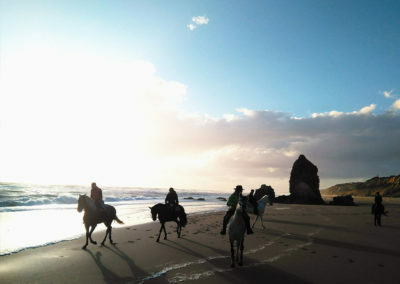 Later on we can enjoy nice drinks staring at the incredible sunset. 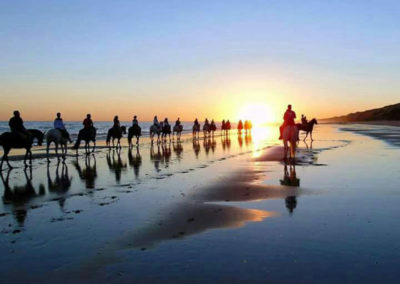 This is the longest but also very beautifull day of the week. 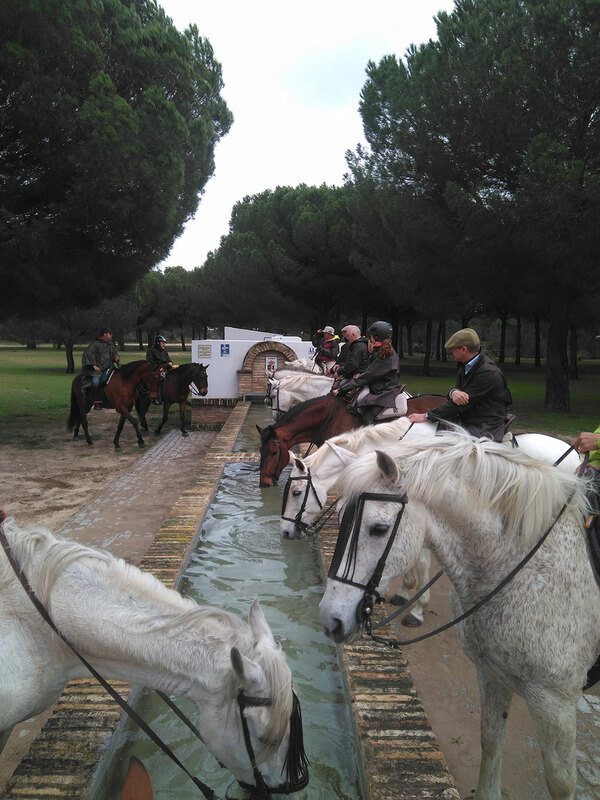 We are already in the western part of Doñana riding the Popular Road of the Brotherhood of Huelva, passing through the municipal district of Almonte, see the famous Rociona stream (babtism place for the new pylgrims). 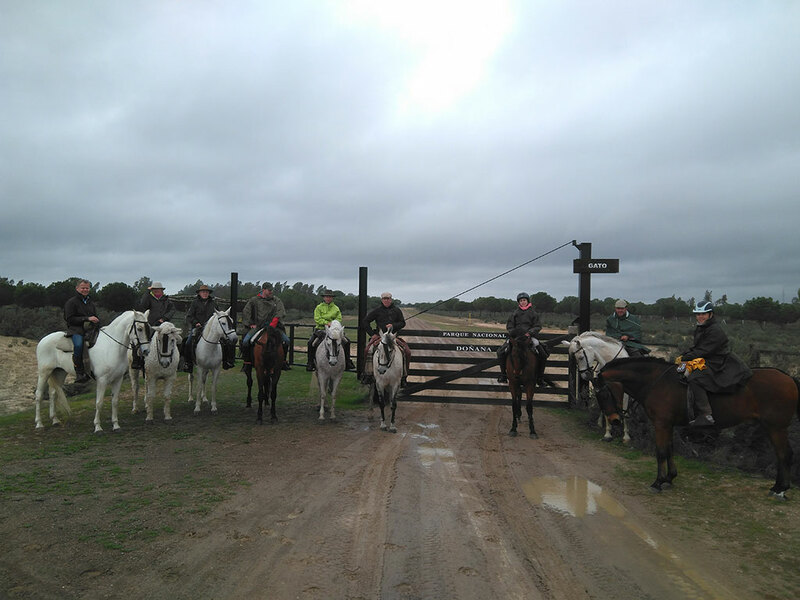 Riding through the Doñana National Park we will be passing Gato, a village of a grate beauty towards Bodegones, another wonderful village where we will have lunch. 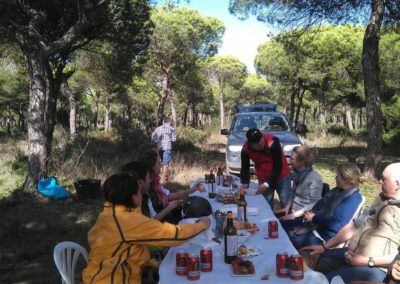 After the lunch we go on between pine forests and marshes until we reach Mazagón, right next to the virgin beaches of Doñana where we will stop for night surrounded with the sounds of the waves. DOÑANA DUNES AND VIRGIN BEACHES. 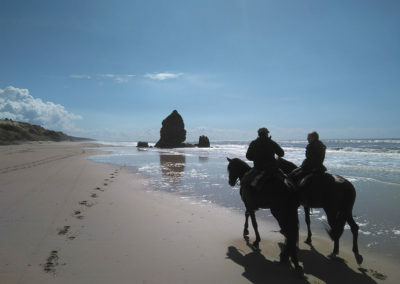 Today the sea breeze will acompany us through the day towards spectacular Atlantic viewpoints. 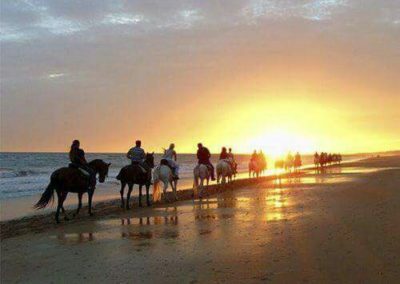 We will witness most important mobile dune system in Europe, as well as enjoy the magical sunsets on the seashore filling up our senses. 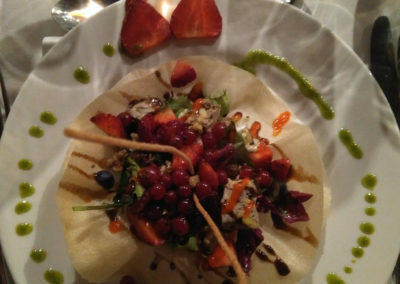 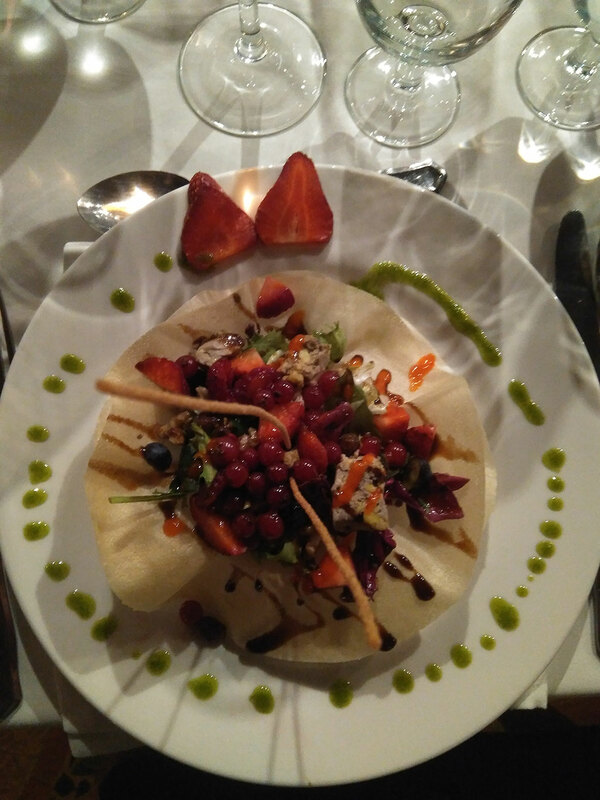 In this route we will have a totally different environment from the previous days, we will visit the fishing village of Mazagón placed at the edge of the Sea and enjoy restaurant lunch there. 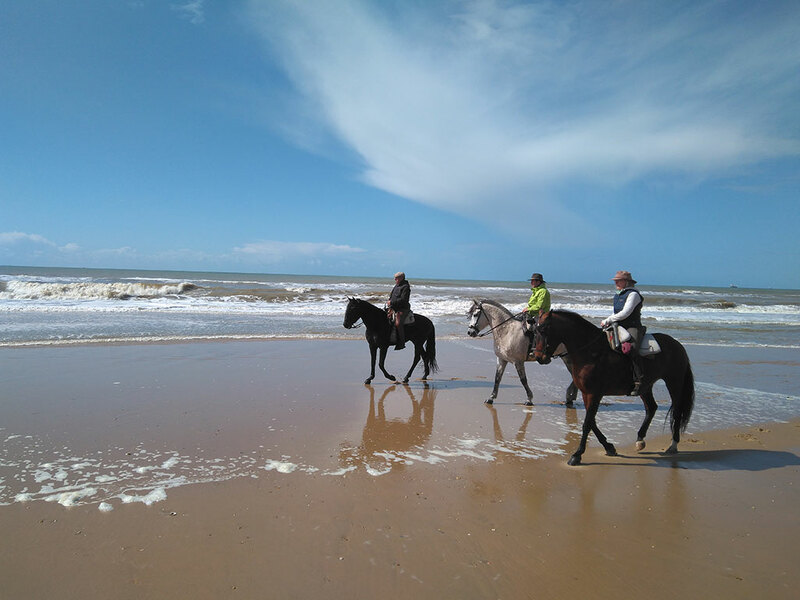 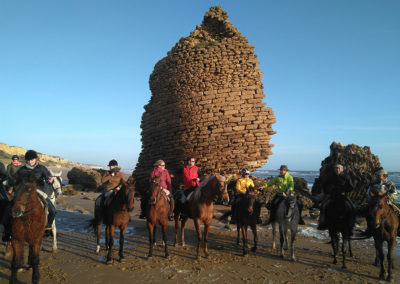 VIRGIN BEACHES OF DOÑANA AND THE TOWER OF LORO. 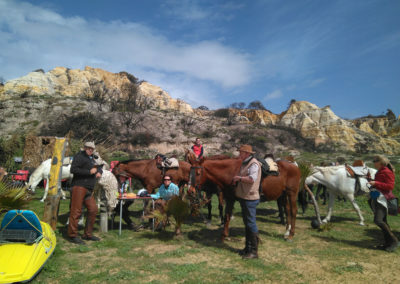 CLIFFS OF THE FOSSIL DUNES. 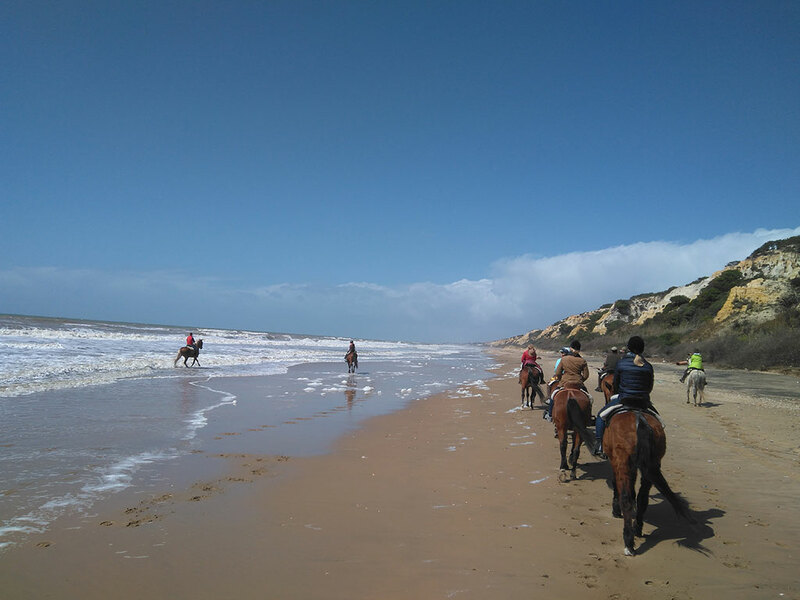 Our last day we can enjoy our exclusive virgin beach, visiting the famous Torre del Loro, located on the shores of the sea and overlooking the cliffs of fossil dunes from the beaches of Doñana. 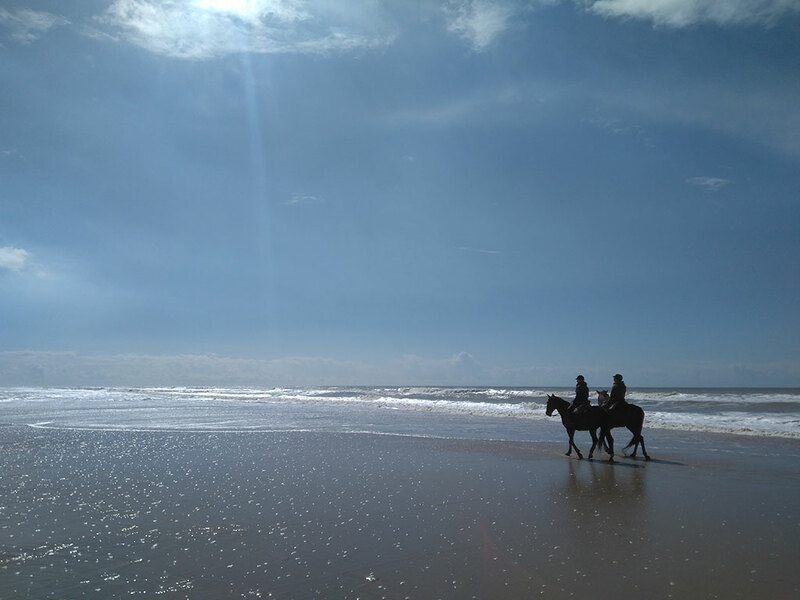 It is a rest for the senses, an experience filling with magical and unforgettable energy allowing to restore vital energy and wash the worries away with the crunch of the waves so we can peacefully return to uor daily lives. 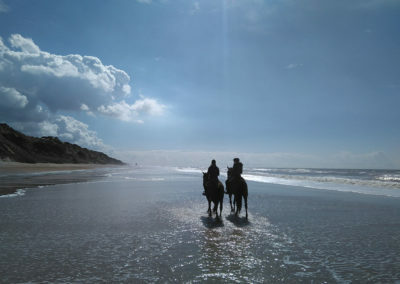 The trail will end aroud noon on this day. 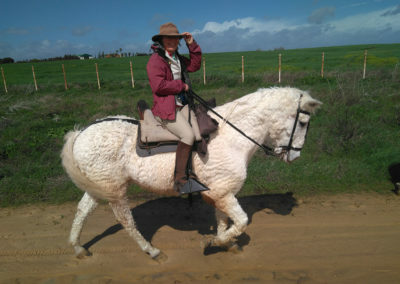 Do you want information about this route? 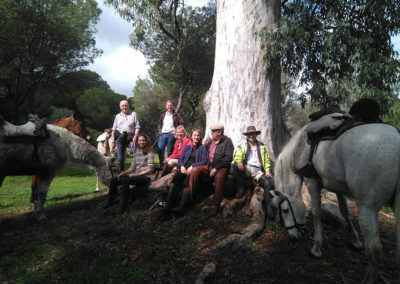 Get in touch with us and find out about this horse trail. 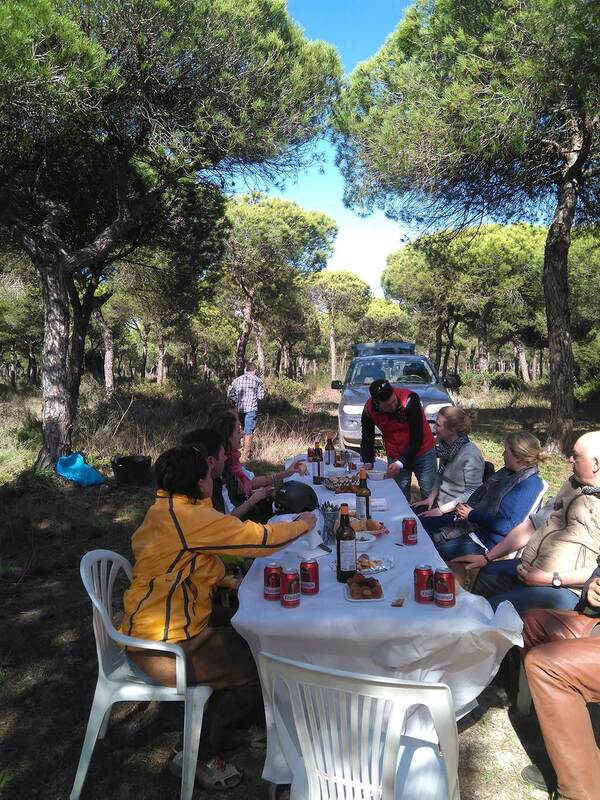 Your opinion is important to us. 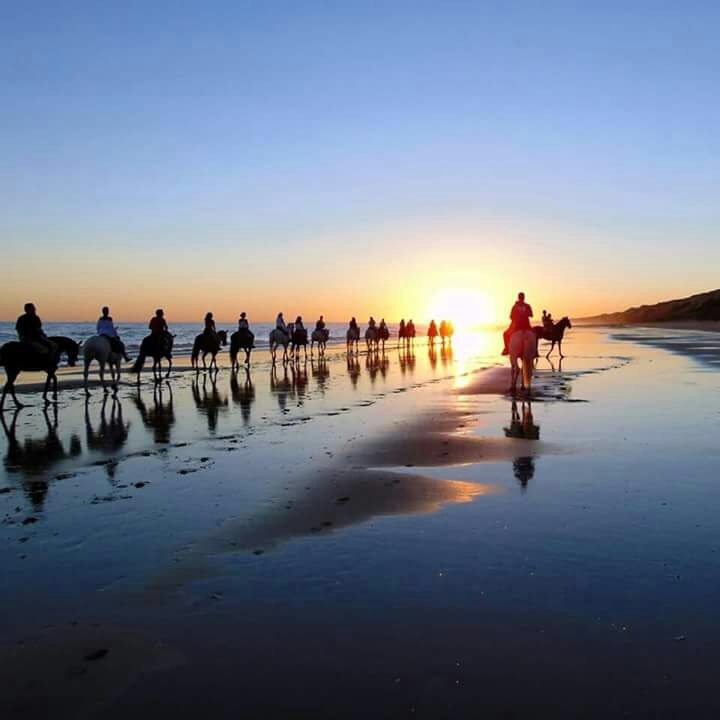 If you have participated in this horse trail, please rate your experience and if you wish, leave us a comment about the route.